Acer Switch, with an 11-inch screen. This rumour makes sense. I’m not one to pass on rumours but I have always believed, since I tested the Switch 10, that an 11.6-inch version would be even better. An article at TabTec takes some previously unseen model numbers and predicts that an 11.6-inch Acer Switch, the SW5-111 and SW5-171, will arrive at IFA. There’s literally no more information other than the new model numbers that were found on an Acer website but if you follow Acer’s model numbers it would make sense that an SW5-111 would be an 11.6-inch with Atom/Celeron and that the 171 would be running a Core CPU (I’d guess at a Haswell Y-series.) 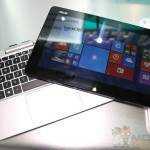 They would be a natural replacement for the Acer Aspire P3 range which runs on 2nd-generation Core. If an 11.6-inch Acer Switch 11 to be launched there would need to be some improvements over the Switch 10 to make it interesting. A Full-HD screen, larger battery (or additional battery in keyboard) would be the first on the list. A good price would be expected too. I’m at IFA (from 3rd Sept) so will be able to being you some more information then, unless Acer launches the Switch 11 beforehand. 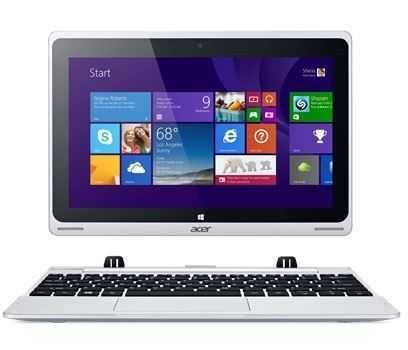 Acer Aspire Switch 10 #1 at UMPCPortal. First Review is available. 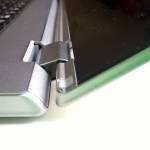 Acer Aspire Switch 10V updated with Xtom X5. Hands-on. 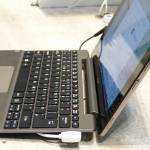 « Toshiba Encore 2 WT8. This $192 Tablet PC arrives for review tomorrow.